Team 7 power on over the Kokoda Track experiencing the mud, rain and blistering heat that Kokoda can bring. The make up of the team consisted of the the Kimba crew, 3 youths on a sponsorship program through the Lions club, Tim (a local Kimba businessman and ETA), 3 mates from victoria, Daniel, Sam and Chris, Gary from rural Victoria and ET our snowy mountains based guide. 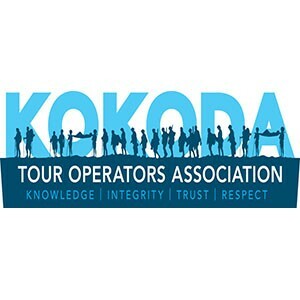 After an early morning start and reuniting a trekker with their miss placed poles the group set off to Popondetta a 35 minute flight over the Owen Stanley range and parts of the Kokoda track. Here in Popondetta last minute snacks are purchased and we board a personal hire PMV public motor vehicle for a 3-4 hour journey to the Kokoda Plateau. Upon the groups arrival at Kokoda station Courtney accompanied ET to the Kokoda Base Hospital where we donated clothing to the Duty Sister which we brought in from Australia. We were then given a guided tour which was a real eye opener, the conditions of a third world hospital far different to that of an Australian hospital. Day one is about settling the nerves and stretching out the legs without to much exhausting activity. As the days progressed a close friendship was formed within the group that will no doubt make for life long memories they as a group can collectively share. One of the more enlightening moments occurred with James being the only person ET and Gary knows who can eat 23 bananas in one sitting. This came about as a result of the group accidently purchasing 6 bunches of bananas and we could not carry all of them so James obliged by getting rid of our surplus stock. A service was held to pay the teams respects on Brigade Hill to the battle which raged on the 6-9 September 1942. Sam commented that on Menari air strip he was totally stuffed as he posed for a photo with ET. Josh expressed an interest in possibly joining the Australian Army as an Apprentice during his emotional roller coaster ride over the Kokoda Trail. ET (an ex serving digger) believes he would be an asset to our Armed Forces as he shows great potential and is a team player. Daniel was surprised by our cooking staff with a birthday cake presented to him at Ioribaiwa village as the team sat and listened to the porters singing as the sun set. Day 9 saw the team exit the Kokoda track at Owers Corner at the early time of 8:30 am, where celebrations of their achievements saw them embrace with so much joy and emotion. 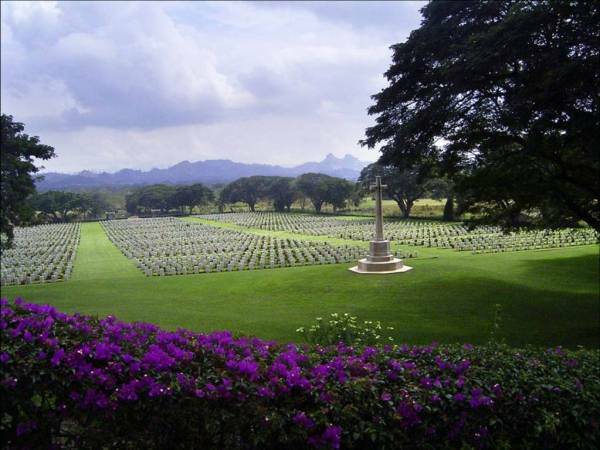 Visits to the Bomana War Cemetery brings together a feeling of sadness to stare at all of those head stones placed to mark the fallen solders.